Note from Mamta: This is my mums recipe. She uses Indian vermicelli called jave or senvian. Jave are hand rolled by women in their spare time, especially during monsoon season, when the dough does not dry too quickly. I remember my grandmother teaching us; she would make a very soft dough with plain white flour (maida) and keep it covered with a moist cloth. Next, she would break off small portions of the dough and roll them out between her palms, to make 1/2 inch thick ropes, keeping them covered with a moist cloth. Then, she would break tiny bits off the rope, rolling them out between her middle finger and thumb into very thin, tiny vermicelli, about 1 inch long. She would drop them directly onto a large piece of muslin cloth as she made them, one by one. Her speed was a wonder to us all. Once full, this cloth was then covered with another piece of muslin and the vermicelli were allowed to dry in the shade. They were made in bulk and stored for the whole year. These days, not many women make them at home, machine made ones have taken them over. Handmade Senvian are available in some small town grocers. 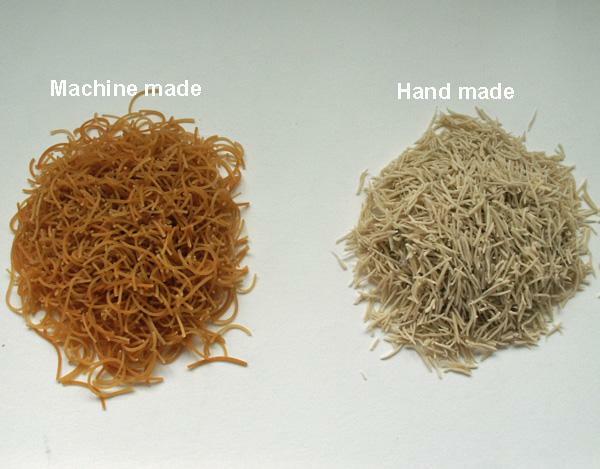 They have a better texture than the machine made ones. 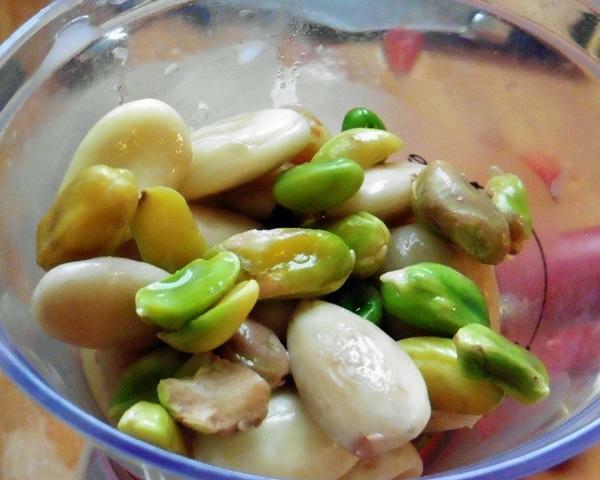 Two crushed green cardamoms or 1 tsp. 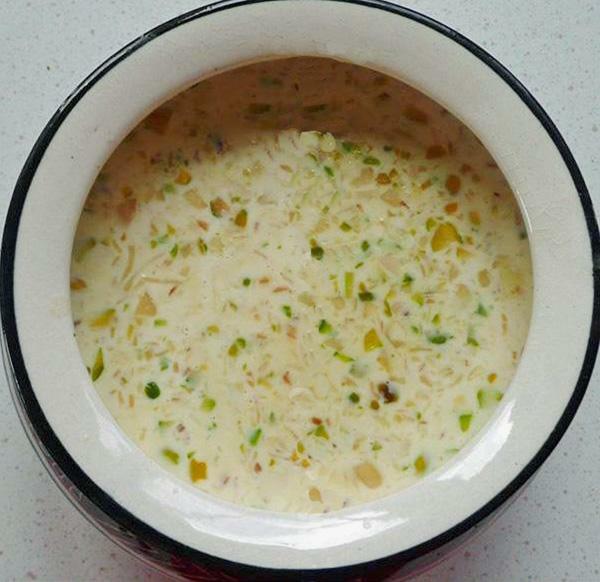 rose-water or a few drops of kewra* essence or a few strands of Saffron, to flavour the kheer. Fry vermicelli on medium heat, until golden brown, keep aside. 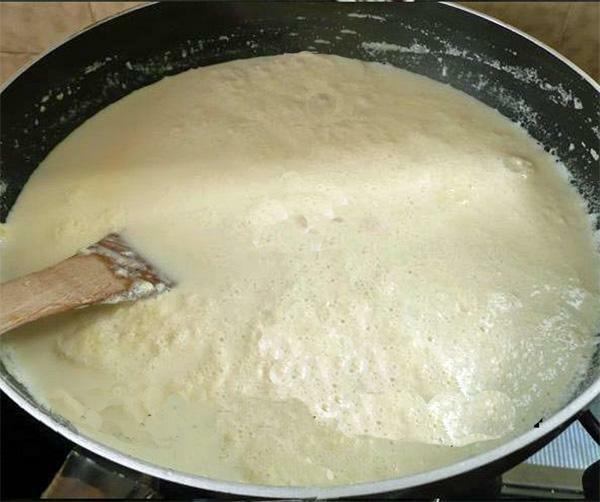 Boil milk until reduced to half. 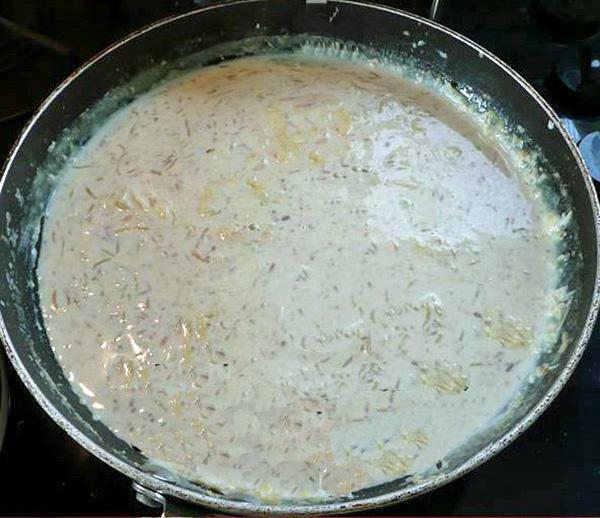 Add the fried vermicelli to the thickened milk and bring to boil. 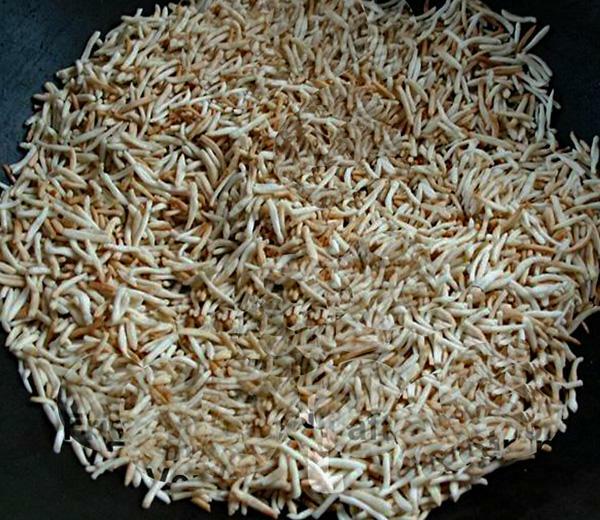 Simmer until vermicelli is tender and tastes cooked. This takes around 10 minutes or so. Stir frequently. Do not let the milk 'catch' or it will have to be thrown away. Add sugar, adjust to taste. If using saffron strands or rose/kewra essence or ground cardamoms now and stir. Stir. Turn heat off and allow to cool. Add 1/2 the nuts and all the Raisins and stir. Chill for at least a few hours. Sprinkle remaining nuts before serving dish. Short cuts: Instead of reducing 1 litre milk to half, add a 250 ml. tin of un-sweetened condensed milk to 250 ml. of boiling milk. *Kewra (screwpine) is a sweet smelling Indian flower and its essence is often used in Indian puddings. For a sugar free version, add 'sugar free' sweetener instead of sugar, after the pudding has cooled down. 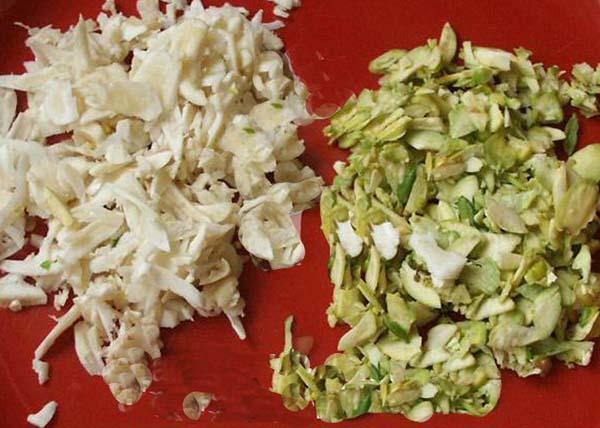 Keep a garlic slicer separate for slicing blanched nuts. It does the job very effectively in minutes.